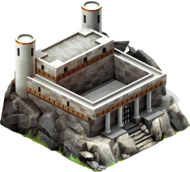 The Prison allows your city's armies to capture, detain and execute Heroes. Upgrade your prison to capture more Heroes and decrease the time needed to execute a Hero, though this time is also affected by the level of the Hero. A city can only have one Prison.